Because there's a Wii U one. And to kick things off, Nintendo look at further ways to alienate their fans. Upon further delving and snooping and various other suspicious sounding verbs I found that its possible to impregnate your chosen chappy so perhaps this is what they meant by becoming strange? Either way it does seem a poor choice of words and according to some sources people are planning to not download it to rustle ninty's jimmies. But focusing on this minor matter seems strange given those problems with saving and booting up the game which see a lot more serious in my opinion. Also, from another corner of the web this 'bug' helped sales as gays felt welcomed and gave ninty their money. So perhaps to 'fix' this they actually mean to include the feature for female characters but cut out the whole male pregnancy thing? Ah, sorry, boosted the AA5 thread with the news before reading this. If it's download only and released in English, it will surely come to Australia. Surely! Don't know, you would like to think so but can never tell. Nintendo have a new 'Nintendo Direct' today at 3pm with details of all their Summer titles. That's Wii U-focussed, isn't it? 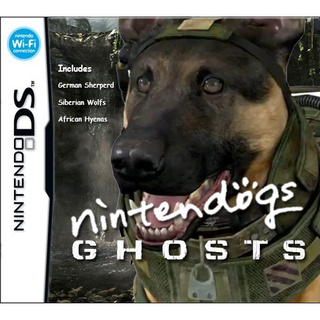 The UK direct is WiiU focused but, the US one has updates on upcoming releases for 3DS. Hmm. Source? Because I can only find things like this. It's good either way though. I've just read my twitter feed about the Directs, not had the opportunity to watch them yet. They sound fairly dull. Internet pranksters take over what could have been quite an interesting Level 5 poll. I can't get over the picture of the Aeroplane with all those Inazuma characters, this is when the internet is really great. That poll post four up? Level 5 have done a wallpaper anyway. superb but they should give us Fantasy life already. Nintendo has trademarked two bizarre game names which point to a revival of cult Dreamcast virtual pet title Seaman, which starred a fish with a man's face. They snapped up the rights to Mysterious Pet: Legend of the Fish With A Human Face and Mysterious Partner: Legend of the Fish With A Human Face earlier this month, Japanese blog Esuteru noted (thanks, Siliconera). Seaman creator Yoot Saito later worked with Nintendo on bizarre microphone-controlled feudal Japanese-themed pinball title Odama which was released exclusively on GameCube. He then worked on 3DS-exclusive Guild01 mini-game Aero Porter, a game about sorting people's airport luggage. Saito teased a Seaman revival last summer by releasing a picture of his iconic man-faced fish creation wearing a Santa hat and beard. Rumours of the game's revival began even earlier - a February 2012 report in Japanese newspaper Nikkei claimed that Nintendo was planning on reviving Seaman for 3DS. The four StreetPass games recently added to the 3DS Mii Plaza generated about 400 billion yen (£2.7m / $4.1m) in their first month of availability. Nintendo president Satoru Iwata revealed the figure in an interview with Toyo Keizai Online, in which he stressed the growing importance of the digital games market to the company. As an example, Iwata cited Animal Crossing: New Leaf, saying roughly a quarter of all copies sold have been digitally purchased, a percentage he described as "unthinkable in the past". He then explained that some digital-only games can be successful with little or no money spent on advertising. By adding the four new 3DS StreetPass games to the system's Mii Plaza and telling players about them directly through the app, Nintendo was able to get players' attention and explain the 'get all four games for the price of three' deal without having to spend any money on media or TV advertising. Fronkhead will be happy, at least.